and especially those from the bordering states of Texas and Oklahoma. the weekend than at Altitude (33rd Floor – W Hotel). all in the same building. Anything less will not be permitted. * Multiple Areas/Booths for your Lounging/Dancing Pleasure. 11035 Ables Ln. (I-35 and Walnut Hill) N. Lamar St. Featuring: Free Brunch buffet until the 3rd Quarter. Over 20 Large HDTV's to watch the game! And most importantly.....All of your OU Alumni and Friends. Attire: Your finest attire is always expected. 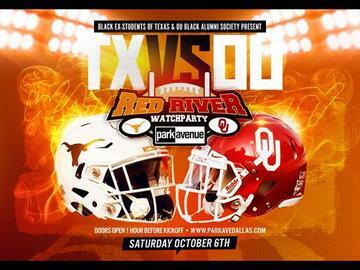 For specific questions or information about the Black Alumni Weekend events, please email blackoutexas@gmail.com.